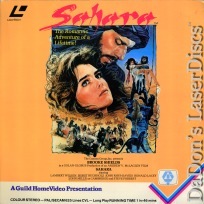 Sahara 1983 - 106 min. 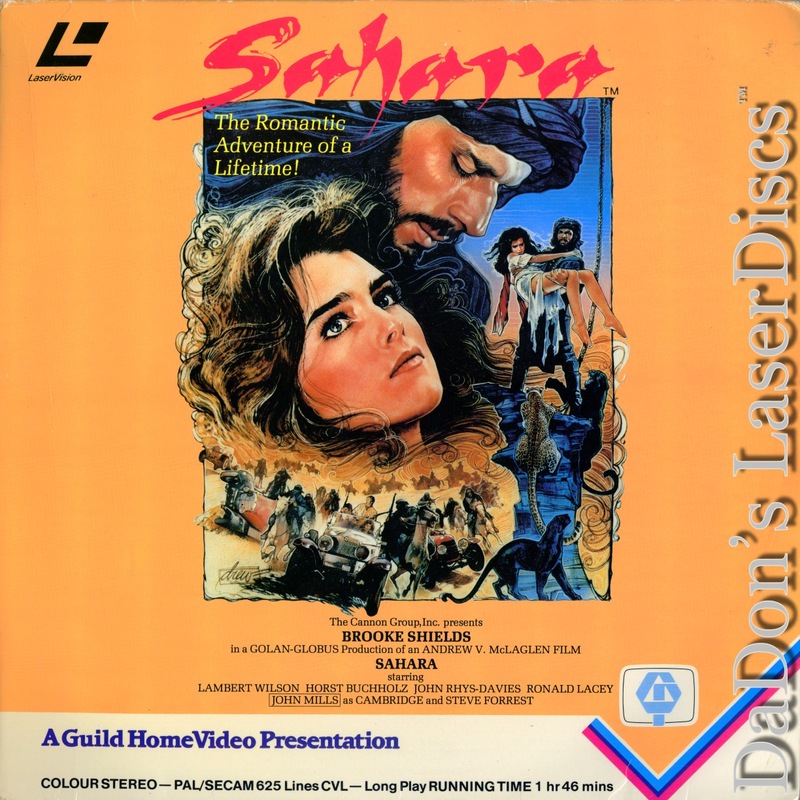 - Color Genre: Action Rated PG Country: United Kingdom LaserDisc Movie Storyline: A beautiful American heiress living during the time of the roaring twenties enters an international car race that takes place in the middle of the treacherous Sahara Desert. 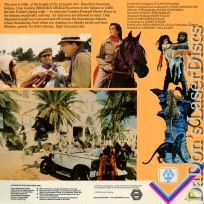 During the course of the event, she is kidnapped by Bedouin tribesmen.